Maybe “America’s Coach” is a stretch for legendary Dallas Cowboys coach Tom Landry. 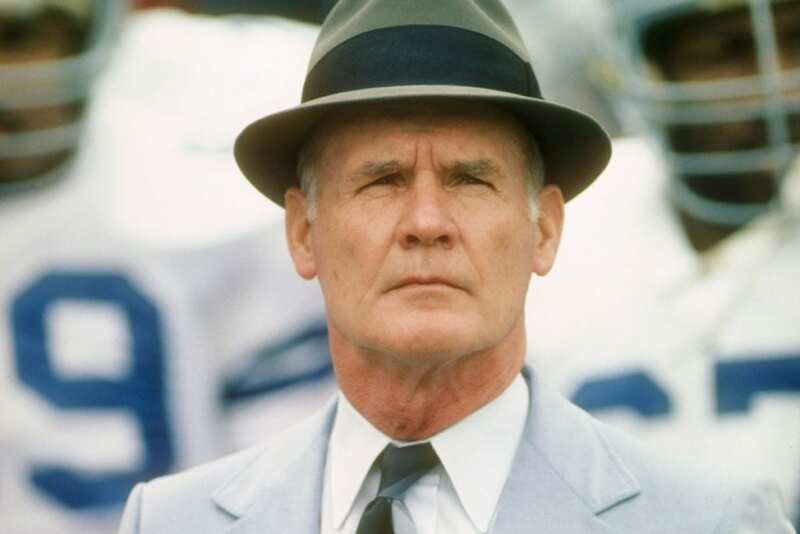 For the first 29 years of the team’s existence, Landry was the only coach the Cowboys had, and he made them America’s Team. Landry, like Vince Lombardi and John Wooden, was an unquestioned leader. Even after owner Jerry Jones fired him following the 1988 season, Landry encouraged the fans to be loyal and led the city to believe. Unlike many coaches who rant at their closing press conference, write a blog or tweet (there was no Internet), Landry simply accepted it and moved forward. He chose to respond and not react, for he knew the true key to leadership. “Leadership is a matter of having people look at you and gain confidence, seeing how you react. If you’re in control, they’re in control,” he once said. To improve your leadership, at home, work or in your Christian faith, understand that you must build the confidence of others by staying in control of yourself. Be temperate, live in the Spirit and let Him guide you. Any time you are challenged, choose to respond, pause and pray. Let the Spirit inside you respond.